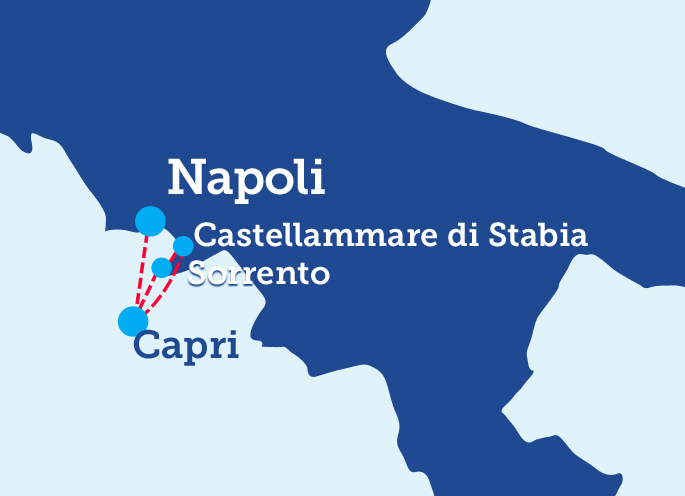 SNAV offers a hydrofoil service to Capri and Sorrento with daily departures all year round. Naples-Capri hydrofoils are quick and safe, offering a trip with any comfort thanks the special on-board services that the staff has reserved for you. 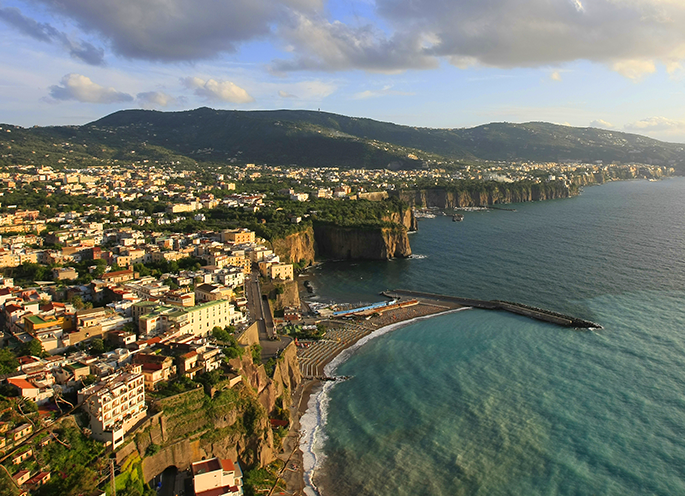 Moreover, connections to Capri are even more convenient thanks to the numerous Snav offers: book your tickets online now and discover the beauties of Isola Azzurra. Snav, with its hydrofoils, opens the door of what has been considered by many, the most beautiful island in the world. Already in Roman times, emperors noticed the paradise-like beauty of Capri and thus decided to build villas and majestic palaces on the island. After thousands of years, the charm of Capri has remained intact as if time never eroded the beauties of these places. Entertainments and marvellous landscapes merge as by magic, offering you suggestions and emotions that you will hardly find anywhere else. Clear waters, unforgettable views, amusement and night life, art and history, Mediterranean scents and flavours: all of this is Capri, an island that will always astonish you. Thanks to SNAV, you can discover the natural beauties of the Blue Grotto and Faraglioni after walking along the shopping alleys and sipping a coffee at a bar of the renowned “piazzetta”; you can admire the marvellous panorama of the Amalfi Coast and Gulf of Naples from the cableway that connects to Anacapri; in conclusion, you can have a taste of history by visiting Villa Jovis (or Tiberius Villa) and Villa Damecuta. SNAV and Capri: the right combination for a dream experience.